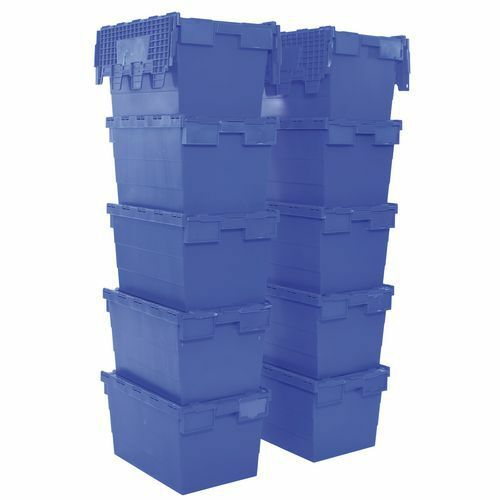 Polypropylene distribution containers meet Euro standards to fit pallets and dollies. Attached lids shut to seal contents. 10 premium distribution containers. Save by buying in bulk.